This is a continuation of a series of posts detailing the renovation of my master bedroom. The first week I shared the Planning Stage, and the second week I showed all our Demolition Surprises. This week will focus on the Construction and Painting Stage. If you remember last week's master bedroom renovation post, we uncovered a lot of hidden surprises when we started to take down the old closet. The first surprise was water damage and holes in the ceiling. 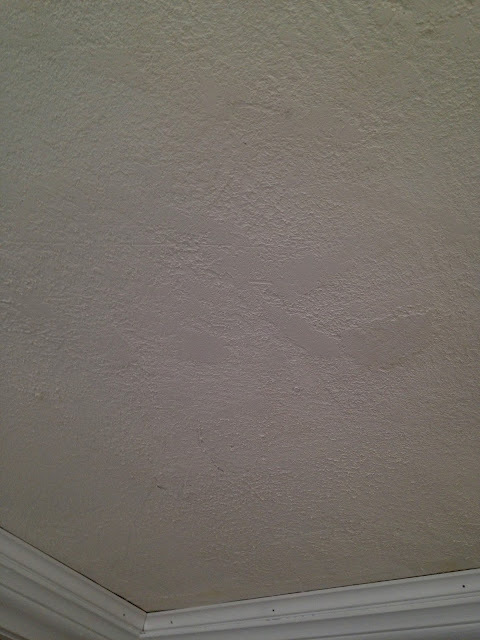 We did not want to tear down all the old plaster, so I sealed the holes up with spackling paste and then painted the ceiling with a texture paint. This is what I used for the ceiling. It is a texture and paint in one. 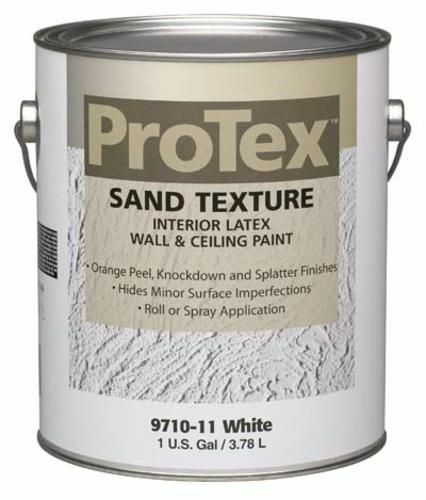 You can create several different textured looks with this paint. We did not want a heavily textured ceiling, we just wanted to minimize the ceiling flaws. So we decided to do a very subtle ceiling texture. We simply rolled the texture on with a roller then smoothed portions of it out with a drywall trowel. Once the ceiling was complete I could now paint the walls. Because the bed we picked out is very dark, I decided to go with a light grey on the upper part of the walls and a bright white high gloss on the paneling. 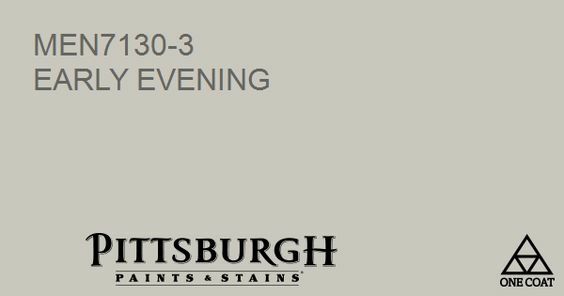 The paint color is Pittsburgh Paints Early Evening. I chose a semi-gloss because I thought a nice sheen on the walls would add to the glam look I was going for and it would also provide a nice contrast to the more industrial elements in the room. Once all the painting was done it was time to put in a new floor. I was really torn between grey wall-to-wall carpeting and laminate flooring. We ultimately went with a Grey Stone Oak Laminate Flooring by Mohawk because we thought it went best with the faux brick wall and the industrial modern theme we were going for. I am absolutely thrilled with this flooring and so happy we made this choice! We even bought a little extra so we could extend the flooring into the hallway. We purchased the flooring on sale for only $2.00 a square foot. Isn't it absolutely gorgeous? I love the way it looks with the faux brick wall! The last time I showed you the faux brick wall my husband had just put it up. Now it's been finished off with crown moulding and base boards. The door is the entrance to the small, built in closet original to the house. And of course Jackson has been supervising us the entire time making sure we get everything right! Here my husband is putting the finishing touches on the faux brick wall. He also finished off the cubby area and I gave it about three coats of high gloss paint! I can't wait to put my grey baskets in the cubbies! I'm super excited to have more storage space! And now that the hard part is over, it's time for the fun part to begin: decorating! The only items I bought for the room so far is the bed, light fixture, and two space rugs. I'll show those next week. After that, it might be a few weeks before I can share the "Big Reveal" because I have a lot of shopping to do for art work, nick knacks, and other furniture. We also might be custom designing our own furniture because we just can't find anything we like in our price range. I know I originally planned to do a post every week until the room was finished, but because we now might be making our own furniture I will have to change that as it will take a lot longer. It looks beautiful, I love the grey paint. It can be tricky to use grey as it can make a room look cold, but this is really lovely. Thank you! I had a wise friend advise me before painting to pick a "warm" grey and not a "cool" grey and she was so correct! Thanks Elli! Yes, I've been nervous about Jackson getting near the saw! Thank you! I'm looking forward to it too...so it will be done! LOL! Thanks! At the cost of new furniture, we're looking into other alternatives as well. Love how it's looking! The paint color and flooring you chose are gorgeous! Wow! This is turning out great. I love the flooring you went with and that faux brick wall. I really need to do something different in our master bedroom! Thanks! I'm pleased with everything so far. The faux brick wall looks so realistic. I love the gray!